The Elusive Quest For An Iranian Moderate : Parallels Iran's hard-line clerics have dominated the country for more than 30 years. 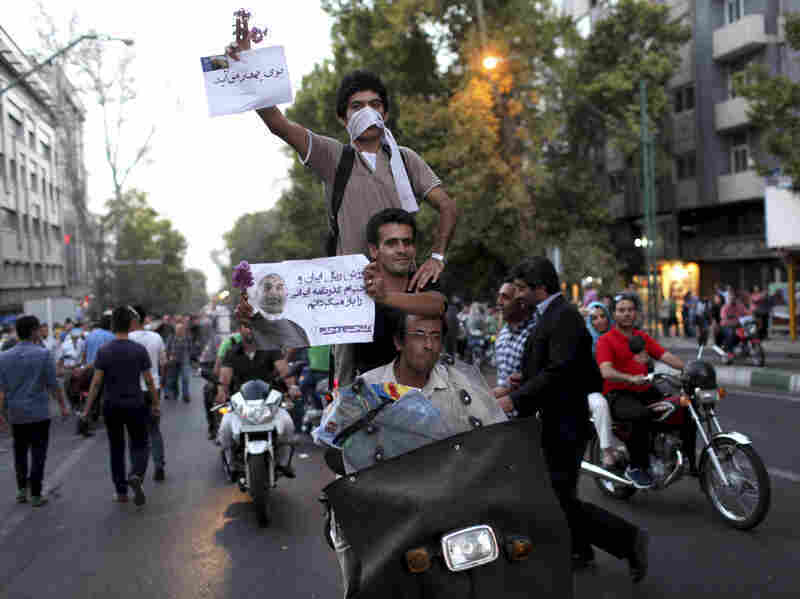 The country's newly elected president, Hasan Rowhani, is widely hailed as a moderate. Will he be able to change the country's course, or is it more wishful thinking on the part of the West? Iran's newly elected president, Hasan Rowhani, gave a news conference in the capital Tehran on Monday. He said he would pursue a path of moderation. Ever since Iran's 1979 Islamic Revolution, the U.S. has been in search of moderate Iranian leaders who could steer the country away from its hostile standoff with America. To cite one famous example, President Ronald Reagan's administration secretly sold weapons to Iran in the mid-1980s in the belief it could work with the country's "moderate" elements even as Iran remained under the control of revolutionary leader Ayatollah Ruhollah Khomeini. Hasan Rowhani, who won a sweeping victory in Iran's presidential election on Friday, is being hailed by some as a moderate who could potentially set the country on a new course following years of confrontational rhetoric under the outgoing president, Mahmoud Ahmadinejad. Is Rowhani the man the U.S. and the West have been looking for, and if he is, will the hard-line clerics block any moves that could ease decades of tensions? 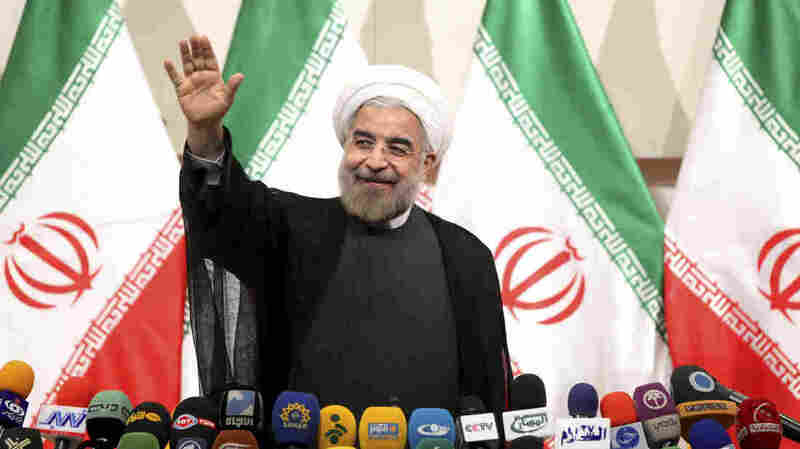 In his first news conference since the election, Rowhani, 64, offered words that sounded encouraging to the West. He described his election as opening a "new era" and said he would "follow the path of moderation and justice, not extremism." "The issue of relations between Iran and America is a complicated and difficult issue," Rowhani went on to say at the news conference Monday in Tehran. "It is an old wound that needs to be ... healed." On the key question of Iran's nuclear program, Rowhani, a Shiite Muslim cleric and former nuclear negotiator, expressed a willingness to work with the international community. Hasan Rowhani's victory in Iran's presidential election produced street celebrations in Tehran on Saturday, in sharp contrast to the weeks of violent protests that followed a disputed election four years ago. Rowhani is being hailed as a moderate, though hard-line clerics are still seen as the most powerful force in the country. "Our nuclear programs are completely transparent," Rowhani said. "But we are ready to show greater transparency and make clear for the whole world that the steps of the Islamic Republic of Iran are completely within international frameworks." However, the U.S. and its allies have been seeking a halt to Iran's nuclear enrichment program, something that Rowhani said he opposed. In Iran's complex political system, Supreme Leader Ayaltollah Ali Khamenei has far greater power than the president and has the final say on issues such as the nuclear program. Iran analysts note that Khamenei and his hard-line allies have systematically ousted or neutralized moderates during his more than 20 years in power. "The current regime's theocratic structure — with a supreme leader, the Ayatollah Khamenei, and numerous unaccountable bodies lording over popularly elected officials — will soon remind voters that this latest hero has little room to maneuver," Sohrab Ahmari wrote in The Wall Street Journal. Speaking on NPR's Morning Edition, Thomas Erdbrink, the New York Times correspondent in Iran, said Rowhani "is very much part of the fiber of Iran's political landscape and has been a part of the nucleus of people who have ruled the Islamic Republic" since 1979. "I don't think we should expect a really big change anytime soon," Erdbrink added. "We don't know yet how far he is willing to go, and most of all, we don't know how much he will be allowed to change." Rowhani is known as the "diplomatic sheik," reflecting his standing as a member of the religious establishment, but also as someone who with a reputation of being outward-looking. Compared with other senior Iranian figures, he has spent considerable time in the West. He's an English-speaker who earned a doctorate in Scotland and had frequent dealings with Western diplomats when he was the nuclear negotiator a decade ago. Perhaps his most immediate challenge will be reviving an economy that has been hard-hit by international sanctions. Oil exports, which are critical to the economy, have dropped sharply owing to the sanctions. The currency has crashed, while inflation and unemployment are high. Rowhani's victory was widely seen as reflecting the will of ordinary citizens who are struggling to make ends meet. His victory also seemed to ease some of the growing pressure on the supreme leader, Khamenei, who has come criticism recently. At the recent funeral of a dissident cleric, those attending chanted, "Death to the dictator," a pointed reference to the supreme leader. Now the question will be whether Rowhani's victory will give him the freedom to chart his own political course. There were still plenty of skeptics, including Israel's Prime Minister Benjamin Netanyahu, whose main concern is Iran's nuclear program. "The Iranian election clearly reflects deep disaffection of the Iranian people with its regime, but unfortunately it doesn't have the power to change Iran's nuclear ambitions," Netanyahu told Reuters.